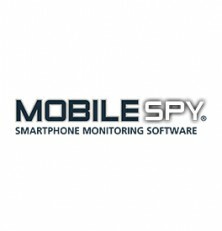 Mobile Spy has changed quite a bit since its launch back in 2003. The software is offered by Retina-X Studios, a firm that had been developing spy and monitoring tools since 1997. They are also the company behind PhoneSheriff and many other similar tools. They provide a solution compatible across all platforms including; Android, iPhone, and Blackberry. The service offers the most popular features and then some, but lacks some control tools that other competitors offer. All text messages including Facebook, WhatsApp and Skype can be captured, same for phone calls and goes all the way up to optional stealth remote activation of the camera and/or microphone for monitoring. 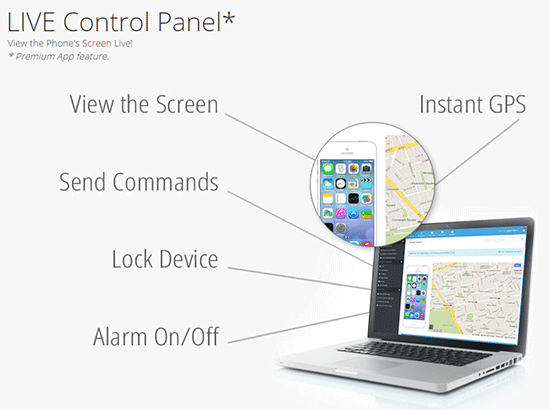 The Live Control Panel effective and simple to use for all levels of users and is graphically pleasing. This is the most complete tracking and monitoring service Retina-X offers, and although it’s a bit more expensive than PhoneSheriff, the extra functions and advanced options are well worth it and put Mobile Spy ahead of the pack. Unfortunately, recent legislation in the United States now requires Spy Applications to inform users they are being monitored via an ever present icon and a pop up message that must be shown at least once every 24 hours. Being a US company, Mobile Spy is subject to these laws. Needless to say, it’s not the best option for those seeking to keep their suspicions secret. Keylogger: Full key logging feature that records all the keystrokes make on the phone or tablet. Live GPS Tracking: Instantly trace location and log historic map spots. View Target Device’s Screen: Refreshed every 90 seconds. Call Logs: Call history logging including numbers, timestamps, duration, and amount of calls made. Instant Messaging: Logs all SMS text messages including timestamps as well as all other apps and social median networks; iMessage, WhatsApp, Yahoo, BBM PIN Messages, Facebook, Twitter and so on. Email Logs: Full email logging including Gmail is offered for iPhone and rooted Androids. Browsing History: Web browsing logs including YouTube and Facebook app tracking. Contacts Book Access: Remote access to all saved contacts in phone book of targeted device. Calendar Access: Logged calendar events including date, time, location and notes. Multimedia File Access: Remotely view photos and videos taken or downloaded on device, including voice memos. Keyword Logs: Set device to alert you when certain keywords or profanity is used. Block Applications: Choose to restrict/block access to any apps of your choice including some device settings. Remote Stealth SMS Commands: Remotely lock/unlock device. Retrieve GPS location or SIM info, and delete recent call, SMS, browsing history, or stored contacts, and multimedia photos on device. It’s also possible to uninstall the app this way. Geo-Fencing: Device can be set to only work inside a given geographical perimeter. 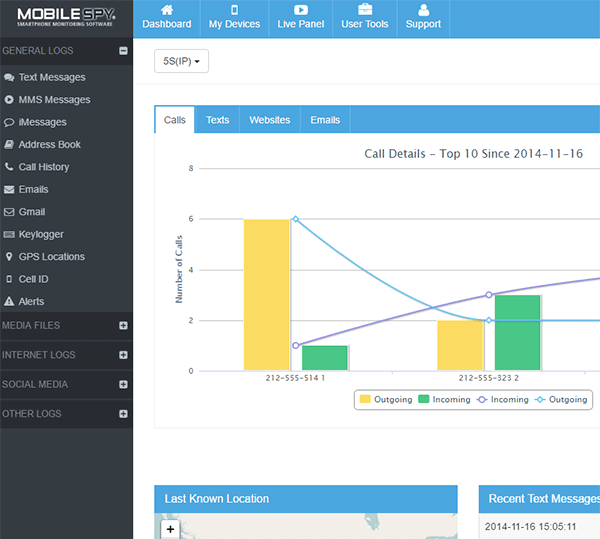 Remote SMS and Calls: Remotely make the device call or send an SMS to any number. Theft Protection: Remotely lock the device with the option to set off a siren alarm. Get updates on new SIM cards inserted. Managing Multiple Devices: Mobile Spy offers a complete solution for users who need to monitor more than one or two devices. A single account can run multiple devices under the Live Control Panel, making it easy to have an overview of many phones at once. Remotely Uninstalling Service: It is possible to uninstall the tracking app remotely from the control panel. Lacks option to record voice calls. Lacks blocking or restriction capabilities of websites, apps and call or text numbers . Verizon users must subscribe to Verizon’s GPS service in order to utilize GPS tracking services. Android 2.3 – 5.1.1 – Not all versions compatible, verify list on website. Root required for many features. iOS 3.1.3 – 9.0.2 – Not all versions compatible, verify list on website. Jailbreaking required. As we mentioned in our intro; a recent United States law has made it mandatory for all Spy App providers based in the US to display a notification on all monitored devices. The notification will appear as a pop at least once ever 24 hours and may also be shown as a persistent notification in your notification bar. Needless to say, any user using the device will be made aware that it is being monitored. This is not the best option for those who want to keep their actions quiet, or protect their devices from theft, and data leaks. The support at Mobile Spy is very complete. To start, they have an easy to read but complete guide on setting up and account, installing the app and using their Live Control Panel, as well as smaller details like downloading logs to access offline. Support can be contacted over the phone, or live online chat from 9 am to 5 pm EST, which is the only downside but you can always log a support ticket anytime needed. Although we experienced some wait times, they varied from long to very short but once greeted, we quickly got the answers we needed. The agents are courteous and helpful. Backed by a long-running software development company, close to a decade of experience under their belt ensure many more years of updates and improvements to follow as the dynamic mobile market keeps changing. 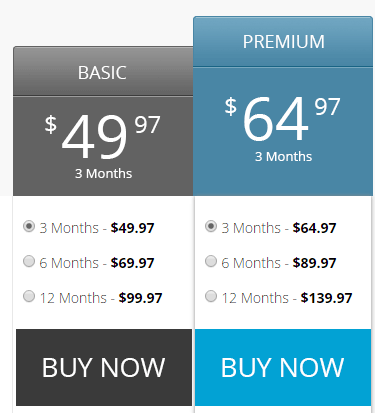 Pricing for Mobile Spy has not been updated, even after the changes resulting in less features and no stealth mode. As we mentioned, the same company offers a similar service called PhoneSheriff for a little bit less money, but Mobile Spy offers a bit more control overall, making the extra cost come at good value. Unfortunately, the pricing is not competitive enough to opt for a less capable service, with no additional benefits. Mobile spy has a strict no refund policy, which entails that they will only refund in case there’s a technical glitch that they cannot resolve. You must accept their help in troubleshooting, and they reserve the right to quit supporting you if you don’t cooperate. Additionally, if your device is not compatible, they don’t refund you, so you must check compatibility properly. The service is not terrible, and features work as advertised. They have attentive customer service representatives, but the refund policy is very strict, and if you are unhappy with the service and change your mind, you’re out of the luck. They will almost never provide a refund unless it was an actual software bug that can be demonstrated. Therefore, for the cost, and overall functionality of this app, I would have to advise against it at this time, in favor of similar, but better services for almost the same price. Wow that is not cool that anyone can track and snoop in my phone, makes me leary of a lot of my use of my phone. Hi Roxanne, no one can spy on your phone unless they actually have physical access to your phone, the password to unlock it, and the time to download and install the apps without you noticing. However, that is not to say that smartphones are private by any means. Although individuals cannot spy on you easily, government agencies collect mass amounts of data from all smartphones, and don’t forget that you have both a camera in the front and back that is constantly using facial recognition technology, in other words, its always on. In order to remain private nowadays, the use of a VPN service is a must!